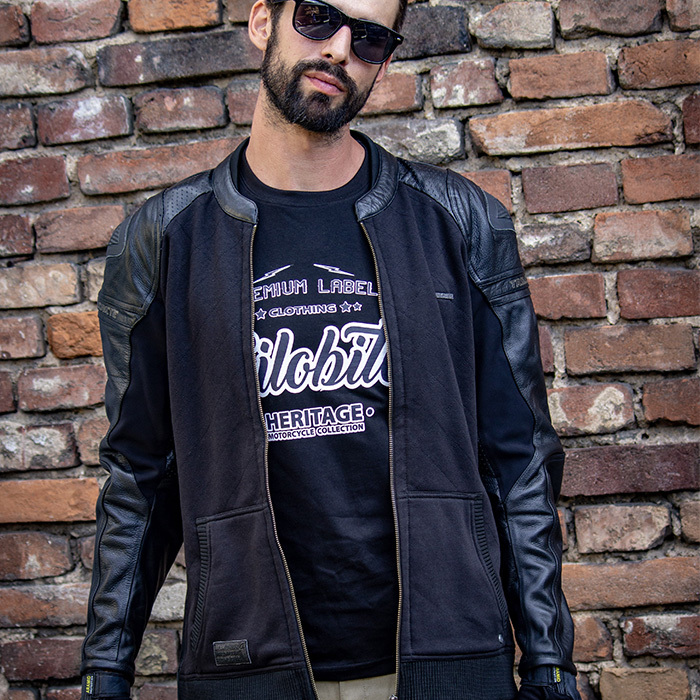 Hoodster jacket is one of the item that every rider would enjoy to have in the closet. 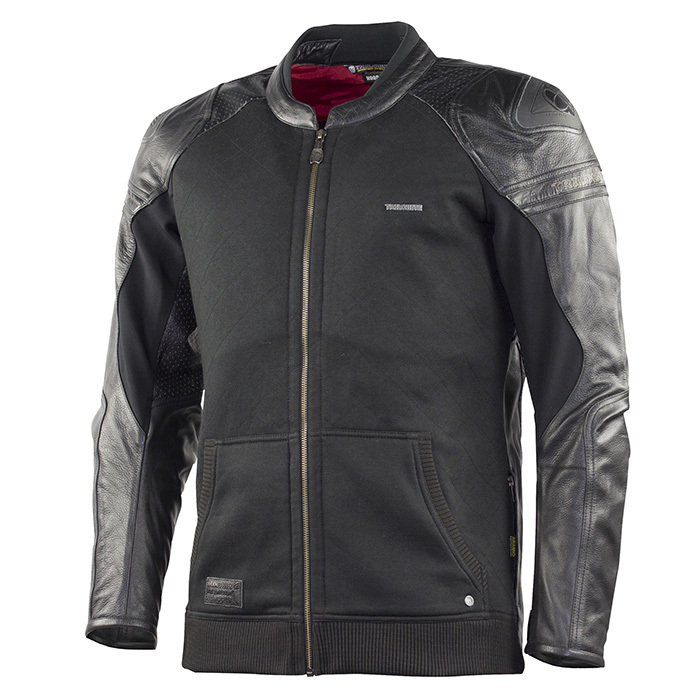 Hoodster is a crossover between jacket and sweatshirt and it is perfect for city or country side riding. 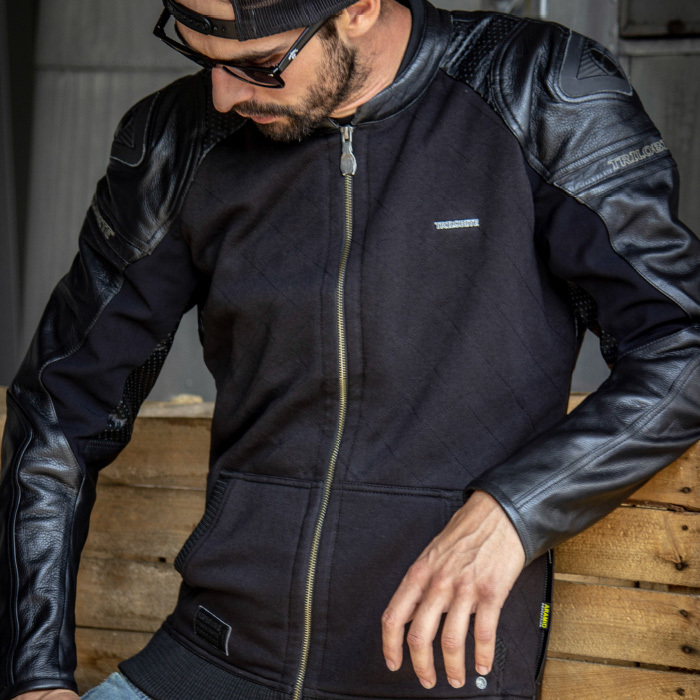 Hoodster offers safety of the light jacket and comfort of soft sweatshirt. 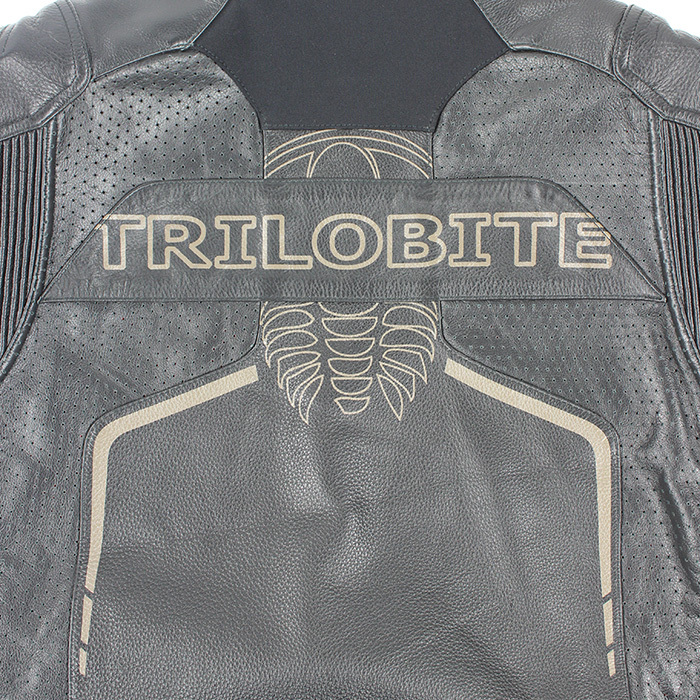 It is boosted and underlined with original Kevlar® by Dupont™ aramid fibers on the chest to protect the rider. 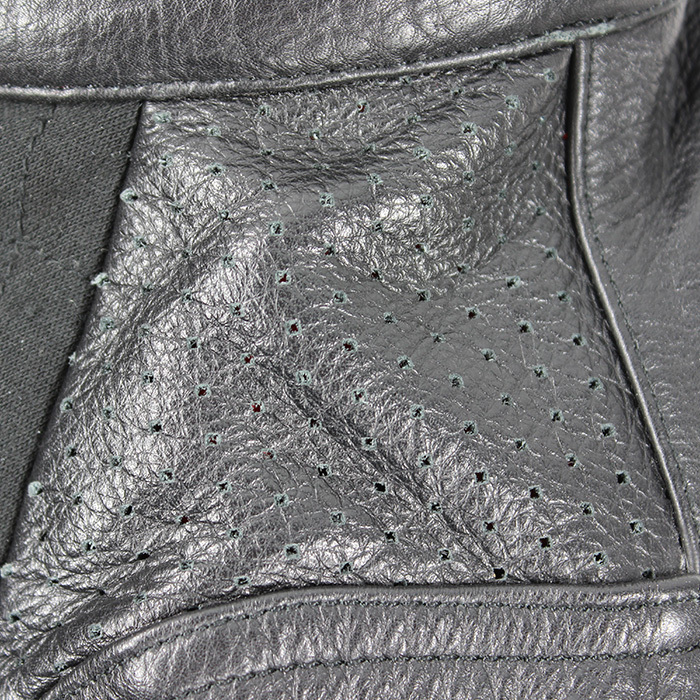 Sleves are made of true cow hide leather and stretch material. 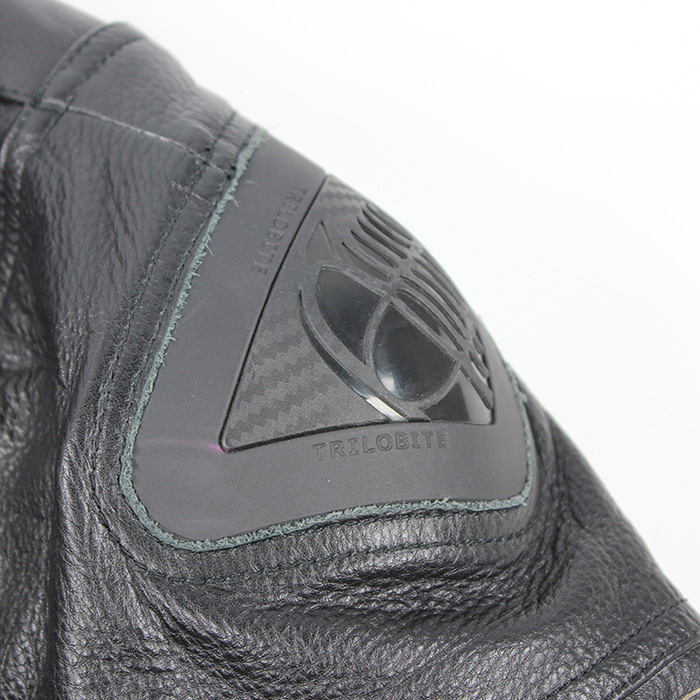 To increase the protection, shoulders are equipped with fixed Anti-abrasion outer shoulder TPU carbon look protectors with Trilobite embosement which gives a nice detail to the jacket. 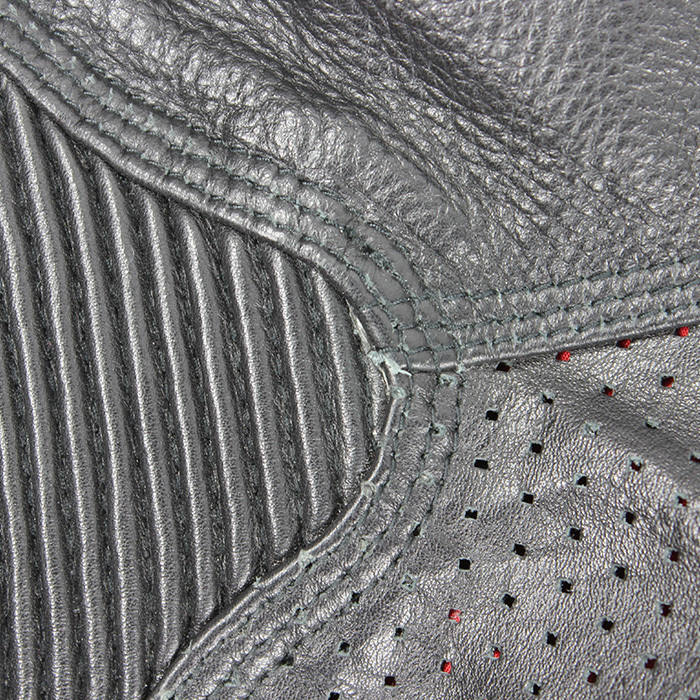 Perforated panels on collar bone area, under arms, and in back provide breathability of the garment. 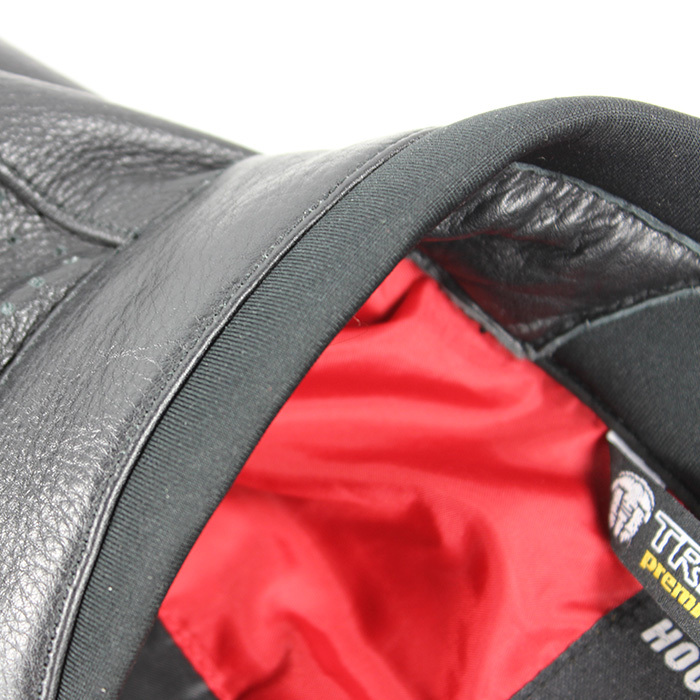 Furthermore, to maximaze the movement and comfort, elbow and shoulder blades areas have accordion leather, so the motion does not limit the rider. 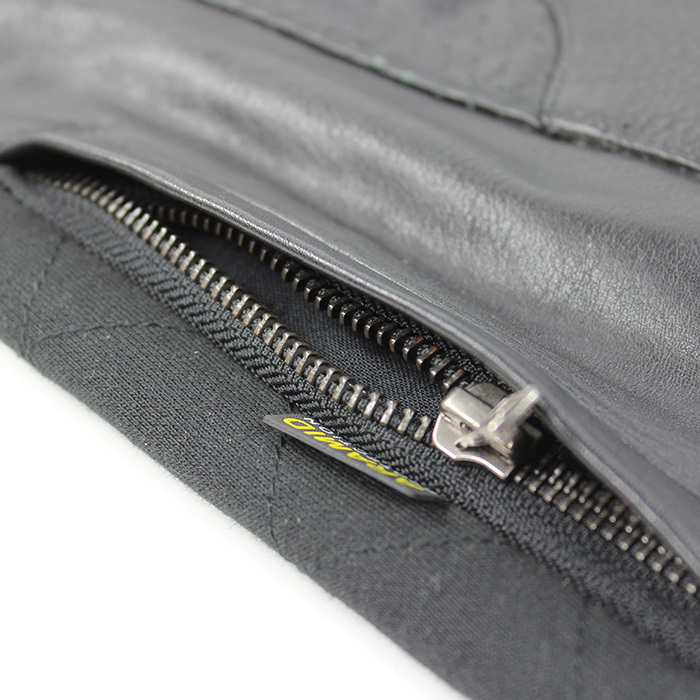 And because, Trilobite® Premium Aramid Fashion knows that every step in the process makes a difference, this jacket is made with fully recycled mesh lining to help safe our nature. 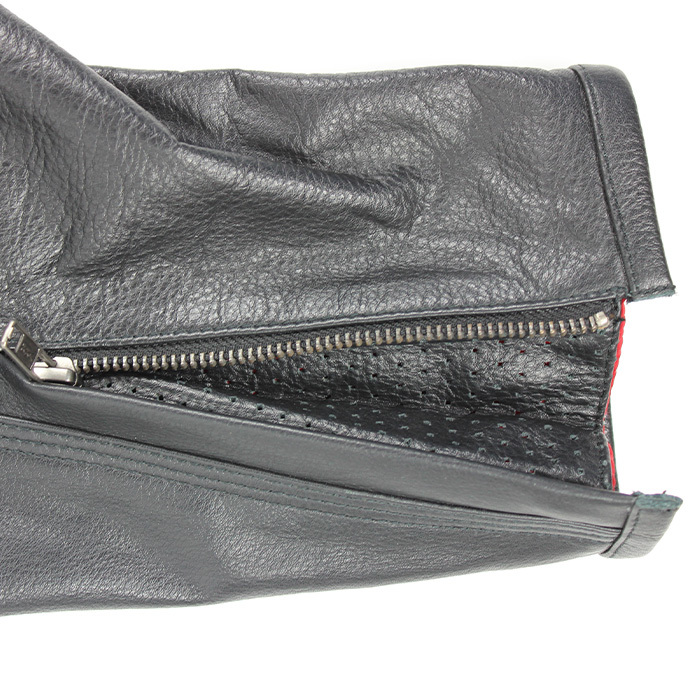 The Hoodster has two outer pockets and three inner pockets to store the rider´s posessions. 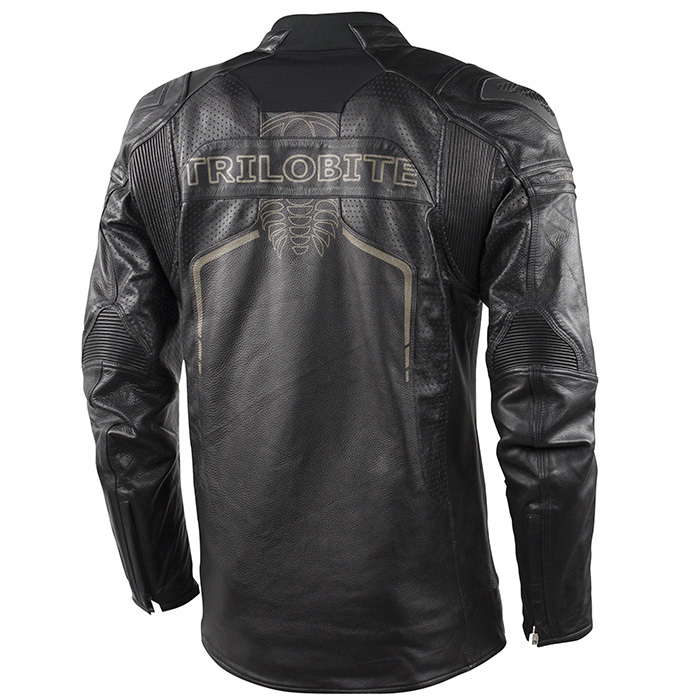 Brown leather label at the bottom part, small metal Trilobite emblems , and large fluo imprint on back brings the jacket recognisable and visible look. 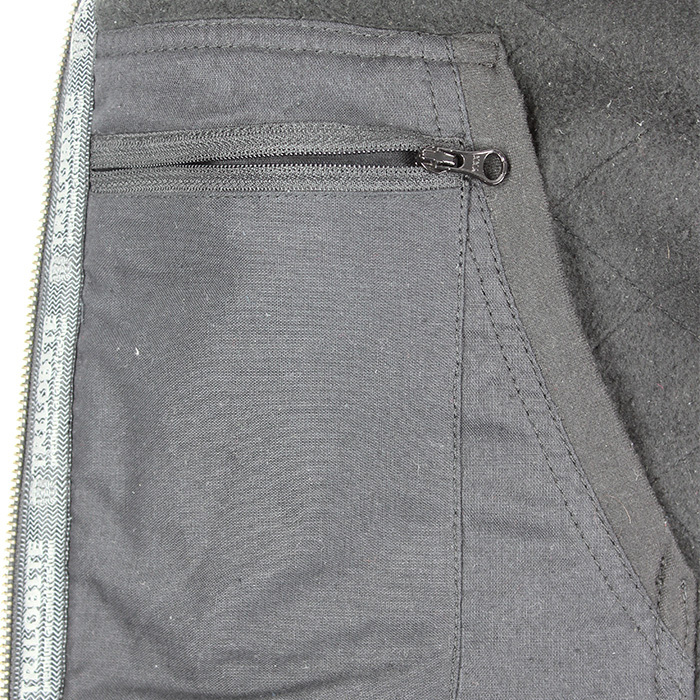 Sleeves can be adjusted by zipper. Overall, Hoodster is perfect outfit to compliment your bike. Urban riding, Street riding. Men EU sizes (S-4XL). Perfectly matches with Trilobite Parado and Smart jeans.